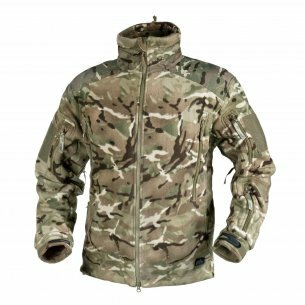 In our store you can find military clothing adapted to extreme weather conditions, as evidenced by the Helikon Liberty men's fleece. They were made of high quality materials, thanks to which the unfavorable weather will not be able to thwart survival plans or leisure in the open air. At the same time, it is a clothing that works perfectly on a daily basis, as evidenced by the Helikon Liberty fleece in a universal color. Amateurs of military clothing readily reach for the men's fleece maintained in calm shades. 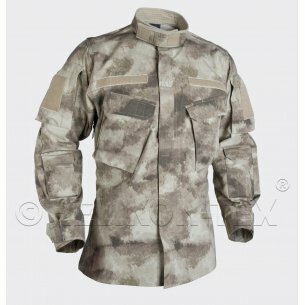 Properly composed colors are the key to obtain camouflage properties, therefore people interested in the best camouflage in the bosom of nature should necessarily pay attention to clothing in colors as close as possible to natural tones. From this angle, the Heloon Liberty fleece in shades of green, brown, beige or gray is an excellent choice. These types of sweatshirts are irreplaceable when you want to hide among trees and shrubs. They enjoy special popularity among amateurs of observing nature. 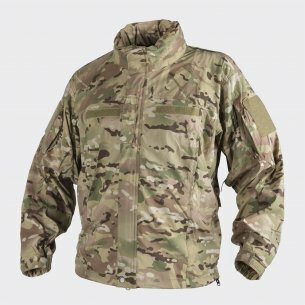 As a reputable military store with military clothing, we can boast of a very wide range of products that are adapted to adverse weather conditions. 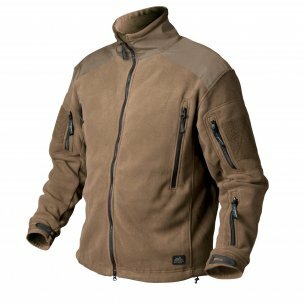 For this group you can certainly include men's fleece from the collection Helikon Tex Liberty. One of their key advantages is fleece weight (390 g), which guarantees great durability and very good windproofness. As a result, the fleece hood helps keep your body temperature optimally even on very cold days. 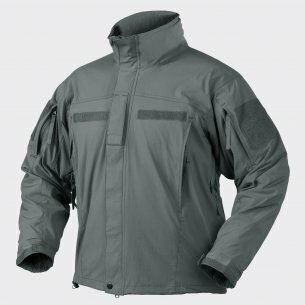 Particularly noteworthy is the high collar that provides additional protection against the wind. Polar Helikon Liberty can be a convenient replacement for the autumn jacket, but its functionality is not limited to the role of outerwear. This model can also be successfully worn in winter, directly under the jacket, at a minus temperature. The Helikon Tex Liberty men's fleece collection we offer is a nod to the most demanding customers. 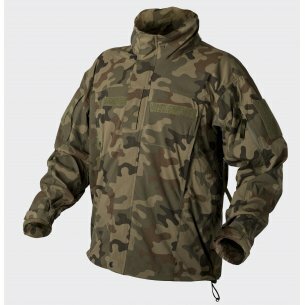 The entire line was designed for the army and police, which is evidenced by satisfactory durability and resistance to adverse weather conditions. Helikon Tex fleece is characterized by very good durability of the material also due to additional reinforcements. The manufacturer took into account the sensitive points that are often rubbed in heavily used outerwear - reinforcements occur on the shoulders and elbows. Undoubted advantages are also underarm ventilation zips that ensure good air circulation even with intense physical effort. Thanks to this type of solutions, the Helikon fleece fits in with the expectations of physically active people who are unfamiliar with weight-bearing workouts in the open air. 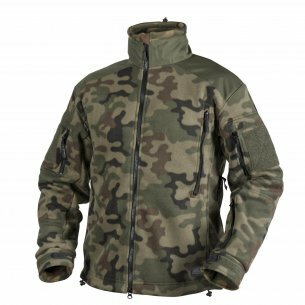 Men's fleece from the collection Helikon Tex Liberty have a simple cut, which guarantees full freedom of movement and at the same time fits the silhouette quite well. The manufacturer has not forgotten about practical conveniences, such as the presence of adjustable elements. In this respect, it is worth paying attention to the sleeves, which thanks to Velcro fasteners can be instantly adjusted to the wrist thickness and individual preferences. Certainly many users will also appreciate the presence of practical pockets that are in comfortable places. Two upper pockets and one lower one on the left sleeve are available on each sleeve. In addition, two are on the chest and one large on the back. Each of them is fastened with a zip, and the last one has fasteners on both sides. Thanks to such additions Heloon fleece allows you to safely store handheld items such as wallet, mobile phone, penknife, lighter or torch. Such a large number of pockets allows you to optimally arrange the location of small luggage, necessary during survival expeditions. Helikon Tex Liberty men's fleece is a great choice also for people who are not advocates of an active lifestyle. They work great in everyday stylizations, complementing the juxtaposition with jeans or sweatpants in the lead role. At the same time, thanks to the additional properties they provide comfort in any situation.